The Yellowstripe Monocle Bream - Whats That Fish! Also known as Blue-nosed Monocle Bream, Coral Bream, Golden Spinecheek, Masked Spinecheek, Spinecheek, Whiptail. Found singly or in loose groups over sandy bottoms of coastal reefs and lagoons. Juveniles solitary in sheltered bays along reef edges. 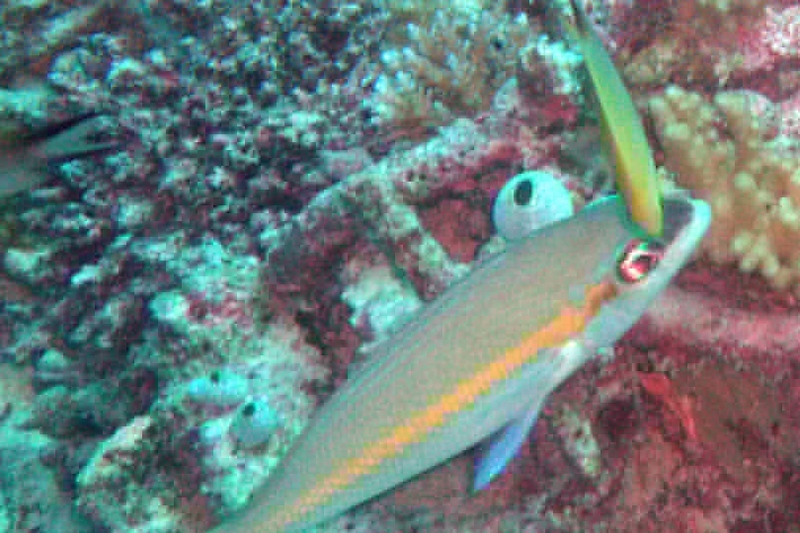 They feed on cephalopods, crustaceans, small fish and worms. 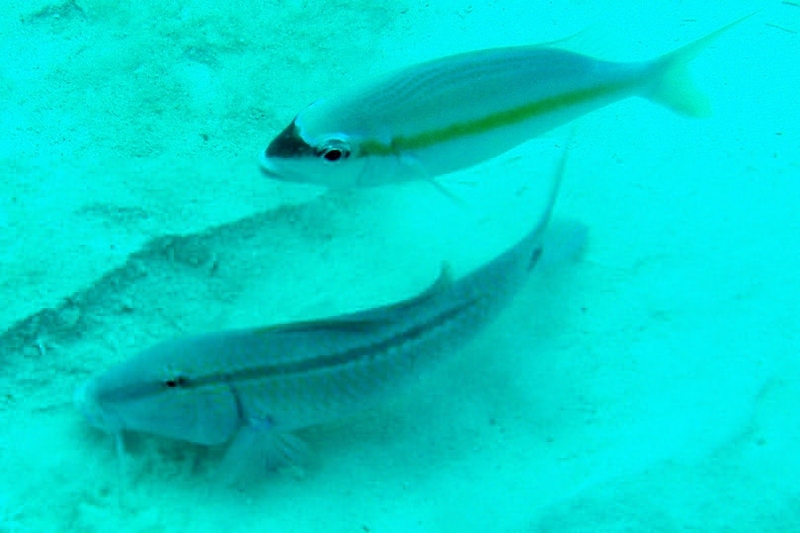 Threadfin Breams and Whiptail Breams have excellent eyesight and are usually found close to the bottom looking for prey with a stop start movement.